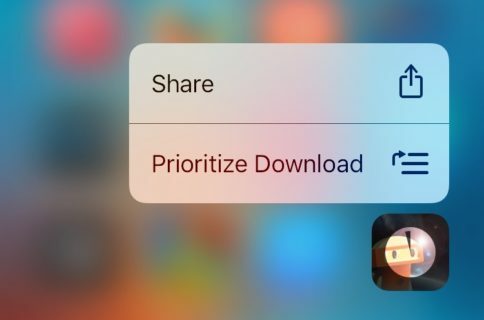 Not anymore: iOS 10 makes expanded use of 3D Touch throughout the system, including making all missed notifications disappear with a single press. 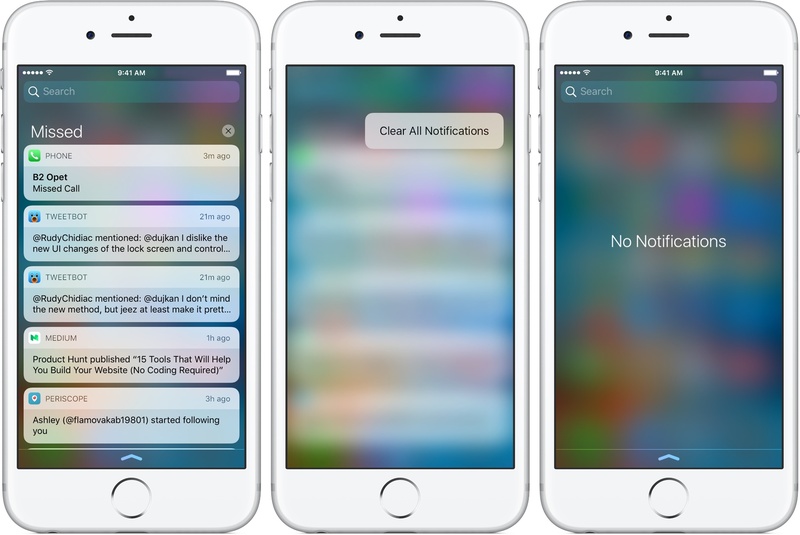 As it turns out, iPhone 6s and iPhone 6s Plus owners can clear all alerts by gently pressing the X button in the Notification Center. Simply pull down from the top of any Home screen to invoke the Notification Center. 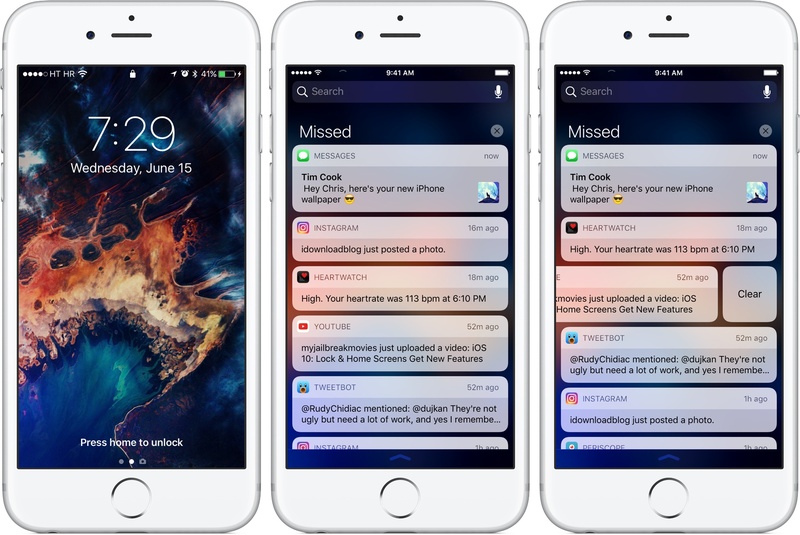 The Today section and widgets have been unbundled from iOS 10’s Notification Center so it’s specifically dedicated to your missed alerts. 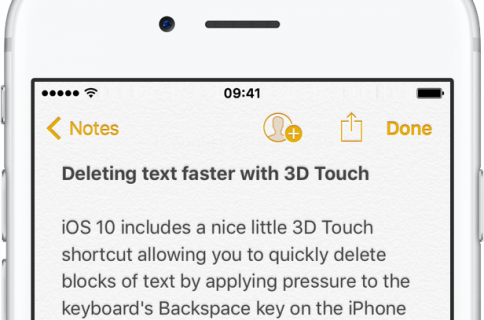 Press the X button at the top with 3D Touch and then choose Clear All Notifications from the shortcuts menu. And just like that, you’ll empty the Notification Center in one fell swoop. If you’d rather dismiss but a single notification, you can still do that: simply swipe over it from right to left to reveal a Clear button, and then hit it. This is yet another little thing I absolutely love about iOS 10. Aside from big headlining new features, iOS 10 includes many little gems like adjusting flashlight intensity by pressing its icon in the Control Center, an all-new keyboard clicking sound, apps requiring permission before using your Music library, RAW photo capture and editing and much more. What’s your favorite iOS 10 tidbit so far?